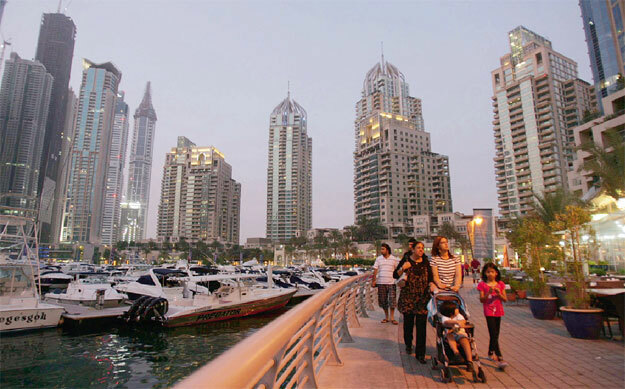 Dubai property prices: Has the tide finally turned? For investors and end-users waiting for Dubai property prices to slip even further, here’s an important piece of statistics. A new report by ValuStrat maintains that while Dubai’s home prices are still 14.3 per cent below their 2014 peaks, they may not remain so for long as several areas are seeing an uptick in prices. Two-thirds of apartment areas covered by ValuStrat’s residential price index saw value increases in the second quarter of 2017 (April-June) compared to the first quarter (January-March) even as villas saw most declines. “Since we first reported early indications of recovery 15 months ago, locations with prices that appreciated more than 10 per cent are: International City [13.2 per cent], Downtown Dubai excluding Burj Khalifa [9.8 per cent], Motor City [12.3 per cent] and Discovery Gardens [10.1 per cent],” said Haider Tuaima, research manager at ValuStrat. “While the highest capital declines for the same period ranging from -5 per cent to -10 per cent were seen in Dubai Marina [-5.7 per cent], JLT [-9.6 per cent], Dubai Sports City [-7 per cent], Al Furjan villas [-5.7 per cent] and Jumeirah Islands [-5.7 per cent],” Tuaima added. While that call depends on several factors including your ultimate objective, a lot more people are now buying off-plan properties in Dubai. During the second quarter of this year, 64 per cent of overall residential transaction sales volume in Dubai was off-plan. “Significant sales of off-plan properties in established locations, particularly those with competitive payment plans, resulted in slowing price growth and transaction numbers of ready properties,” Tuaima explained. Locations included Jumeirah Village with 84 per cent of sales being off-plan, Business Bay at 81 per cent, Jumeirah Beach Residence and Downtown Dubai at 62 per cent. Buying-to-let remains attractive although you would have made an even healthier return on investment had you done so last year. Dubai’s average residential yields have declined by four basis points since the beginning of the year as market rents for the first half of this year were 7.7 per cent lower than last year. Still, there are pockets of clusters that still offer very healthy rental returns. The highest net yields were registered in Discovery Gardens, Dubai Sports City and Remraam at 6.04 per cent, 5.96 per cent and 5.68 per cent, respectively. This year’s total new supply of residential apartments and villas is estimated at 25,000 units, 28 per cent of which have been completed. Most of the new residential stock was in Dubailand, International City and Dubai Silicon Oasis. Many projects previously delayed from the past 18 months are either completed or expected to deliver this year.